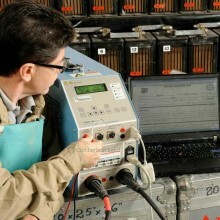 The most reliable way to determine battery capacity is to conduct a discharge test. 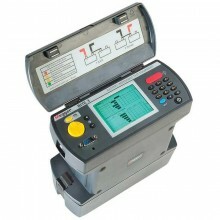 The Megger TORKEL820 features a unique design that combines efficiency with portability. NB: This product is now obsolete and has been replaced by the Torkel 910, 930 and 950. During a power outage, crucial telecommunication and radio equipment must be kept operating by batteries. Unfortunately, however, the capacity of such batteries can drop significantly for a number of reasons before their calculated life expectancy is reached. 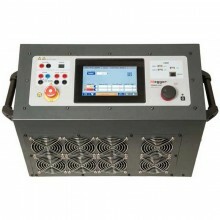 Battery capacity should thus be checked to prevent expensive downtime in the event of a power failure. 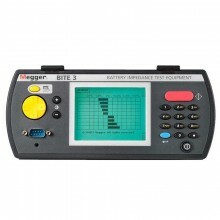 Capable of discharging 24 and 48V batteries at a current of 270A and 12V batteries at 135A, the Megger Torkel 820 Battery Load Tester is the perfect instrument for checking battery capacity on telecommunication and radio equipment. 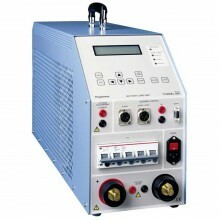 The TORKEL 820 is connected to battery, the current and the voltage alarm level are set. 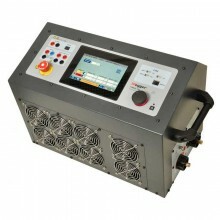 After starting the discharge TORKEL 820 keeps the current constant at the preset level. 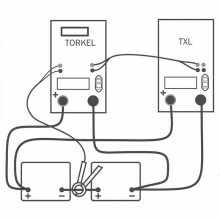 When the voltage drops to a level slightly above the final voltage, TORKEL 820 issues an alarm. 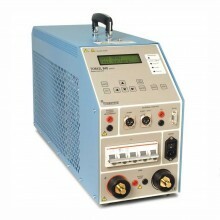 The total voltage curve and the readings taken at the end of the test are stored in TORKEL 820. 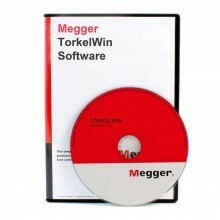 Later, using the TORKEL Win program, you can transfer these readings to your computer for storage, printout or export. 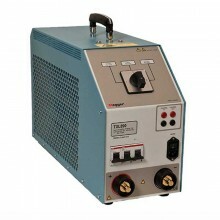 If your PC is connected to TORKEL 820 during the test, TORKEL Win builds up a voltage curve on the screen in real time and displays the current, voltage and capacity readings. 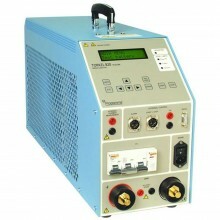 You can also control the test using TORKEL Win. 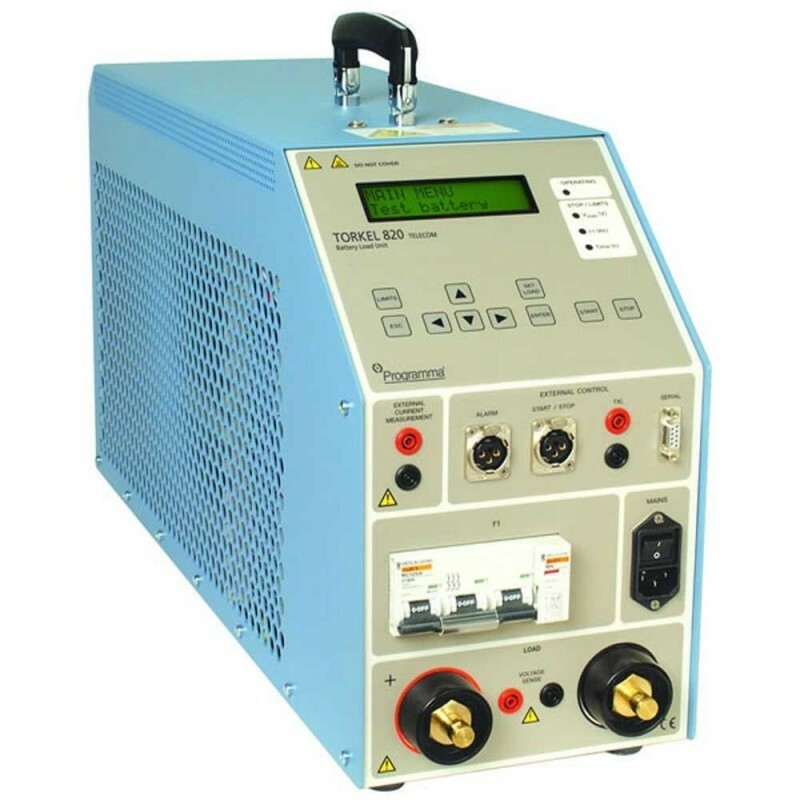 The external current measurement function enables the Torkel to measure the total current in an external path and base regulation on this measurement. 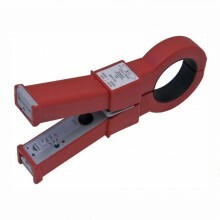 A DC clamp-on ammeter (optional accessory) has to be used for this measurement. 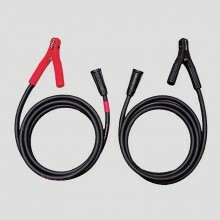 It can be applied at one of the battery terminals or at an inter-cell connector. 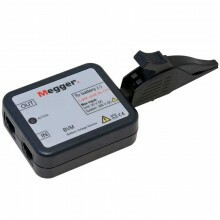 The clamp-on ammeter must measure the total current, including that which passes through Torkel. 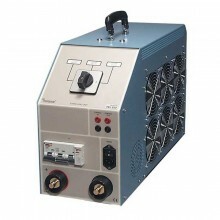 Mains voltage: 100 - 240 V AC, 50 / 60 Hz. 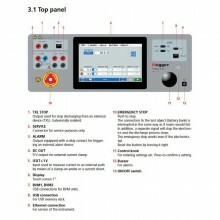 Protection: Thermal cut-outs, automatic overload protection. 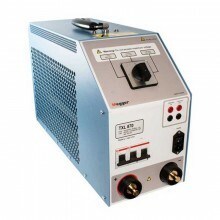 Discharge 24 and 48 V batteries at a current of 270 A. 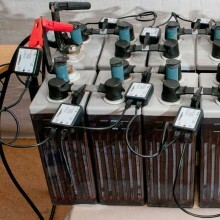 12 V batteries at 135 A. 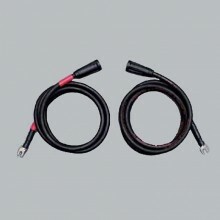 Two or more TORKEL 820 units and/or extra load units TXL, can be linked together if you need higher current. 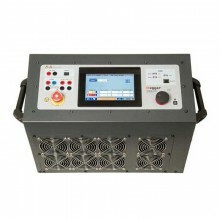 Discharging proceeds at constant current, constant power or constant resistance. Auto warning & shutdown system. 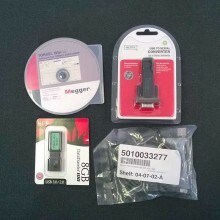 Serial port used for connection to a PC or other controlling equipment. Dimensions: (HxWxD): 167 x 84 x 46mm. Weight: 40.4kg (89.1 lbs) with accessories and transport case. 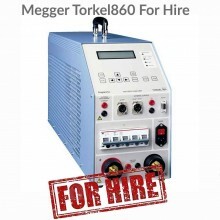 Megger Torkel 820 Warranty: 1 year. 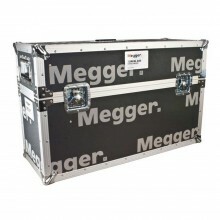 Includes: Complete with: Cable set (GA-00554), Transport case (GD-00054) and Megger Torkel820 Operating instructions.